Overview: Engel builds gear that’s designed to keep your adventure on ice. From field-proven fridge/freezers to top-rated performance coolers, we’ll keep you thriving in extreme conditions that cause others to head for home. The Engel Cooler/Dry Box is one of many coolers in there line that will keep food cold and safe in extreme conditions. 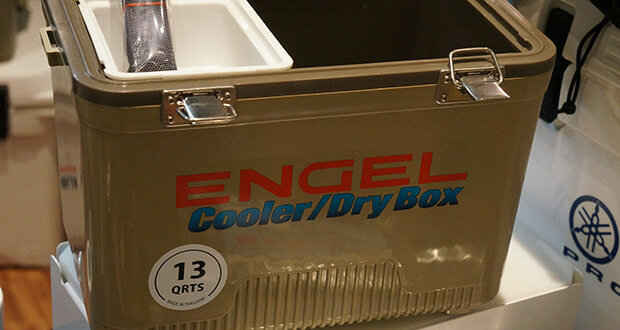 What Makes It Unique: If you need to keep things dry, cold, hot, or all three, you’ll want to check out an Engel Cooler/Dry Box. The Cooler/Dry Box is lightweight with airtight insulation the cooler boxes are perfect for any adventure. 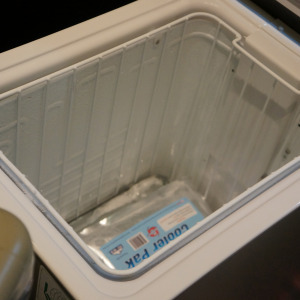 The air tight gasket around the cooler will keep it sealed, no matter what. Even if it tips over in the car you won’t have to worry about cleaning up a melted ice mess. The airtight gasket keeps hot air out and the cold air in. Available in 13, 19 and 30-quart capacities, these waterproof coolers come in white, grassland or tan colors. 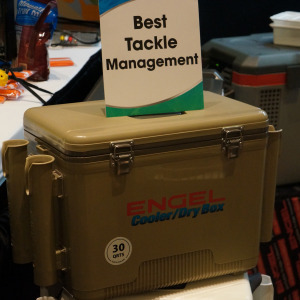 If you’re out on a week long camping trip, it is almost a must to have a cooler like Engel. It will keep ice for days and always keep your food fresh. You can also use it to store equipment you don’t want to get wet such as cameras or safety equipment.